Hunt’s jaw clenched down hard. The urge to slam his fist through Benedict’s face was stronger than ever. So strong the muscles in his arm ached from contracting. She sniffled again. And the silence that followed was more deafening than the roar of the building coming down. “You would?” she finally said. He relaxed a little because in those two simple words, her voice had sounded stronger. If he was going to get her through this, he had to keep her focused on something other than her fears. This was a fantastic book. 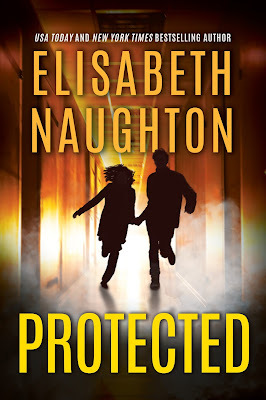 Love Elisabeth Naughton's writing. Thank you for the excerpt. It is a good look at the relationship at that point and the level to which the danger has escalated. I have always enjoyed suspense and Elisabeth Naughton is an author I enjoy.